In need of an ideal “spot’ for a slumber? After the hustle and bustle of a working day, a place to rest is of the utmost importance for you to get your bearings back to face another day. The Spot Collection of innovative furniture brings a design that helps you to organise your space better and provides you with a comfortable space to rest and ease your mind. When we think of the word slumber, the concept of “bed” immediately springs to mind. A cozy and comfortable place to drift off to dreamland. With the Spot selection of extra length double beds, even the tallest of us can sleep comfortably. 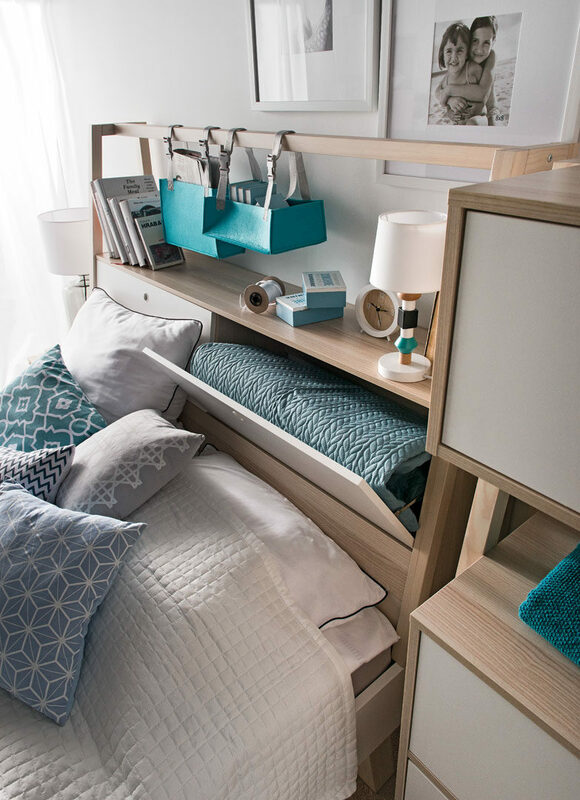 Have you ever looked for a space to store extra bedding for cold nights that is not in your hallway closet? Well, Spot offers you an innovative solution. The Spot Double Bed Inclusive of Storage Headboard has two cupboards built into the headboard of the bed that are easy to open, here you can store your extra bedding for easy reach should the night get a little nippy. If you are looking for a slim clean-lined design when it comes to the bed that you want, the Spot Double Bed is ideal. Firstly, the bed incorporates the collection’s signature A-frame design in its slightly slanted headboard and legs that lift the bed from the floor providing a sense of lightness. For night-time necessities, the Spot Pedestal with Drawer offers ample storage space for books and viewing gadgets. To keep things neat and tidy, Spot offers you a selection of Chest of Drawers. There are three versions of the chest of drawers to choose from: the unit with two drawers and a hanging rail, with two drawers and a top cabinet, or with four drawers. 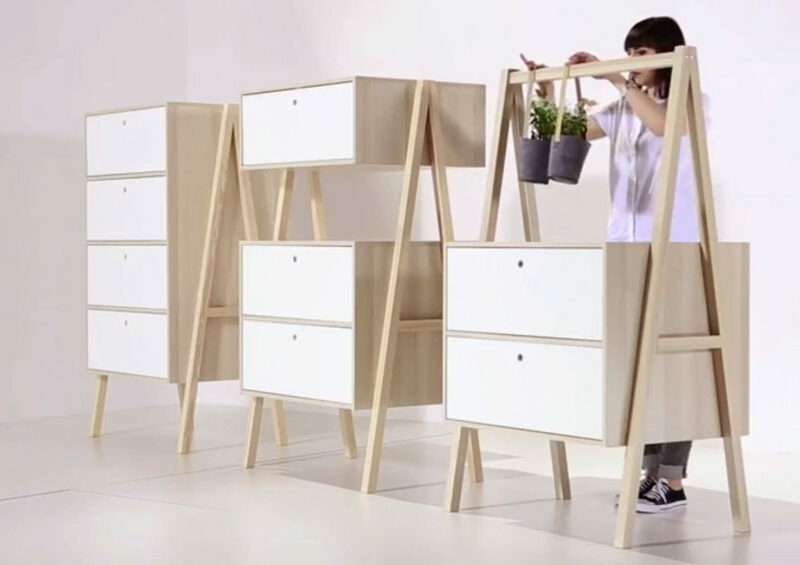 All of them stand stable on their solid pine wooden legs while providing storage space for larger sized items underneath. Now you have ample space to store so much more than just your favourite items of clothing. Furthermore, the trendy A-frame design allows for hanging space on the top bar for organisers or decorations. What is in that you look for in a bedroom? Share with us in the comments below. Be sure to like our Facebook page and subscribe to our newsletter to be the first to know about our blog and special offers.